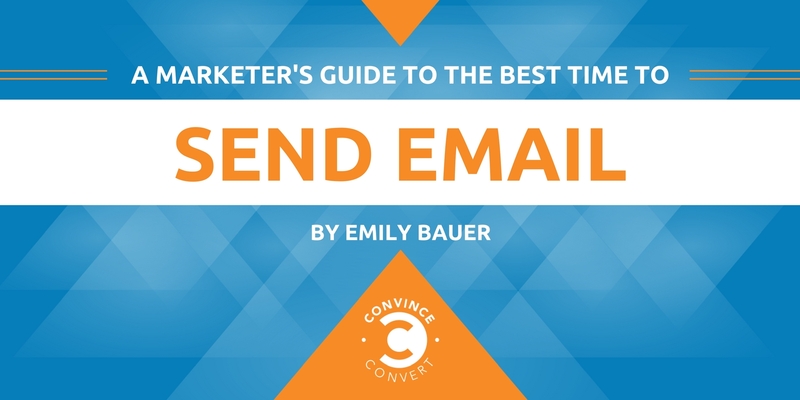 Anyone who’s ever Googled “best time to send an email” knows that there’s a ton of information available on this topic. 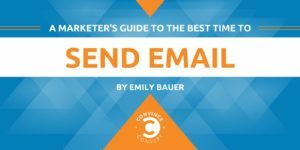 The problem, for those of you who’ve managed to avoid this particular rabbit hole, is that the many studies on optimal email send times all seem to reach different conclusions. Some recommend sending emails during weekend downtime, while others suggest weekday afternoons when your target is at work. Rather than providing a practical solution, this simple Google search often results in more confusion than ever. Why is it so hard to get a straight answer? Probably because the studies are not consistent in their methods. This type of research is always a bit tricky because there are so many variables at play. While most of the studies focus on B2B emails, some are based on B2C emails being delivered to a list of subscribers or previous customers. Even among the studies featuring B2B emails, there are discrepancies based on who the target is, their job title, and what their work schedule looks like. For example, a different set of rules applies when you’re contacting entrepreneurs who check their messages 24/7 compared to your typical nine-to-five office worker who only reads their email during business hours. This should come as no surprise, but there is no single best time to send an email for every use case. The ideal time to send a follow-up email to a qualified lead is different than the best time to generate clicks with an e-commerce sales message. More importantly, there’s no universal definition of what makes an email successful. Someone who considers each opened email a win will reach a very different conclusion than someone more interested in click-through rates or responses. Since there is no simple solution that applies to every scenario, the best time and day to send your email depends on your goal, audience, and industry. Regardless of when you decide to hit “send,” your individual mileage may vary based on who you’re emailing and what action you want them to take. Almost none of the studies on when to send emails parse all of these factors, which makes it tough to figure out how the findings apply to your specific audience, industry, and objective. We decided to approach this topic from a different angle. Instead of regurgitating data from a wide range of studies or focusing on one specific use case, we dug a bit deeper to find out what factors contributed to the differences. We’ve taken all of the conflicting data and sorted it into an easily digestible visual guide: The 2017 Email Marketing Field Guide by Propeller CRM. Editor’s Note: This infographic originally appeared on the Propeller blog. Emily Bauer is a content writer for Propeller, a CRM built to make selling in Gmail easy. A running and travel enthusiast with a passion for all things written, Emily is primarily powered by Earl Grey, yoga, and tofu.